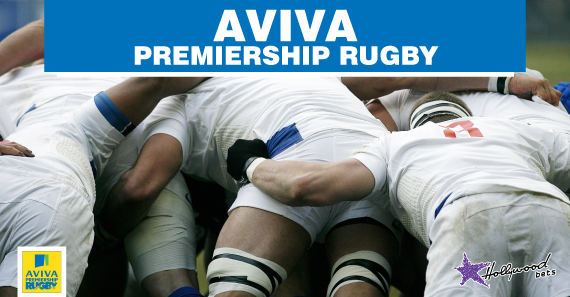 The second round of the 2018/19 Aviva Premiership season will get underway on Friday the 7th of September. Week 2 of the 2018/19 Aviva Premiership throws up some intriguing fixtures with the blockbuster tie of the weekend seeing Wasps lock horns with the Exeter Chiefs on Saturday afternoon. We get proceedings underway with a clash between two of England's old firms with Northampton and Harlequins squaring off on Friday evening. The hosts head into this one off the back of a 27-16 opening day defeat to Gloucester while Harlequins got their campaign underway with a 51-23 victory over the Sale Sharks. The away side looked the real deal last week and I can't see them having any trouble making it two wins from two starts. Wasps and Exeter are our next serving and this promises to be a truly delectable one as both sides are notorious for their try-scoring exploits. The hosts were forced to work for their opening day win over the Worcester Warriors as they battled to a 20-21 victory. Exter were far more impressive on opening day as they hammered the Leicester Tigers 40-6. They're the better side at the moment and I think they will prove it by beating Wasps by more than 10 points. Both Leicester and Newcastle will be looking to bounce back from opening day defeats when they square off at Welford Road. The hosts got their season underway in horrendous style as they went down 40-6 to the Chiefs. Newcastle fared slightly better than their opponents as they put up a real fight, going down 21-32 to reigning champions Saracens. I rather fancy Newcastle to take the spoils here. Leicester were really appalling last week and they seem ripe for the taking yet again. New boys on the block Bristol could be in for a cold awakening this Saturday as they travel down to London to take on juggernauts Saracens. The visitors got their return to the Premiership off to an ideal start as the beat Bath 17-10 at Ashton Gate. Saracens were at their pragmatic best again as they opened up their campaign with a bonus point victory over the Newcastle Falcons. They may well end the weekend with the full-point haul from their two games as Bristol are far from the toughest challenge they'll face this season. I'm expecting the hosts to provide a very rude awakening here. My money is on them taking it by 25 points or more. Bath will be looking to bounce back from their shock opening day 17-10 defeat to Bristol when they take on a Gloucester side that got their campaign underway with an 11 point win over Northampton. The visitors looked really good last week with their new signings making an immediate impact. Bath looked nowhere near as promising and lacked ideas with ball-in-hand. I can see the Cherrie and Whites delivering another defeat to a very limited Bath outfit. The Sale Sharks and Worcester Warriors will bring a close to proceedings when they lock horns at the AJ Bell Stadium on Sunday. The hosts head into this one off of a heavy defeat to Harlequins which saw them concede over 50 points. Worcester also failed to register a victory in Round 1 but they did manage to put up an almighty fight going down by just one point to the London Wasps. I'm expecting Sale to bounce back here. They have a solid squad who are a real prospect when they click.